RCS is SMS on steroids. It lets you deliver interactive, app-like experiences straight to your customers’ SMS inboxes. We’re helping big brands do this now. If you’re worried about reach, don’t be. Non-RCS phones automatically receive fall-back SMS messages. So why not get started? 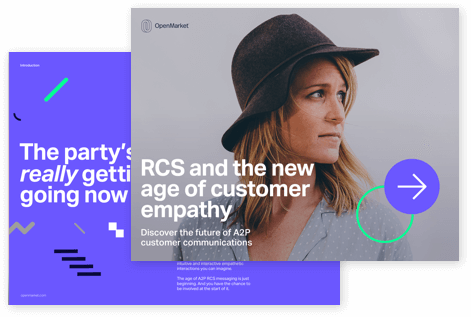 Read our ebook for an in-depth look at the features, use cases and benefits that set RCS apart from every other channel. Plus, see what we learned when we asked 2,000 customers to weigh in on the channel. There’s no need to wait until every mobile operator and handset accepts RCS. Every RCS message you send through OpenMarket to customers that can’t yet receive it reverts to an SMS format – or an earlier RCS format. Simple. The conversion rates are blow-the-doors-off impressive. Here are some of the things we’ve learned helping customers put RCS to work. RCS creates all-new opportunities to capture data and get closer to your customers. 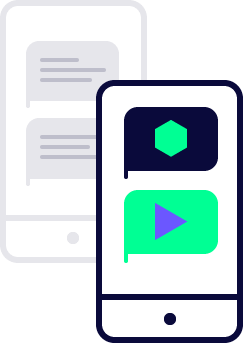 And if you want to build a complete picture of customer behaviour, you can connect RCS into your third-party data sources and internal apps. We’ve seen the power of RCS firsthand. 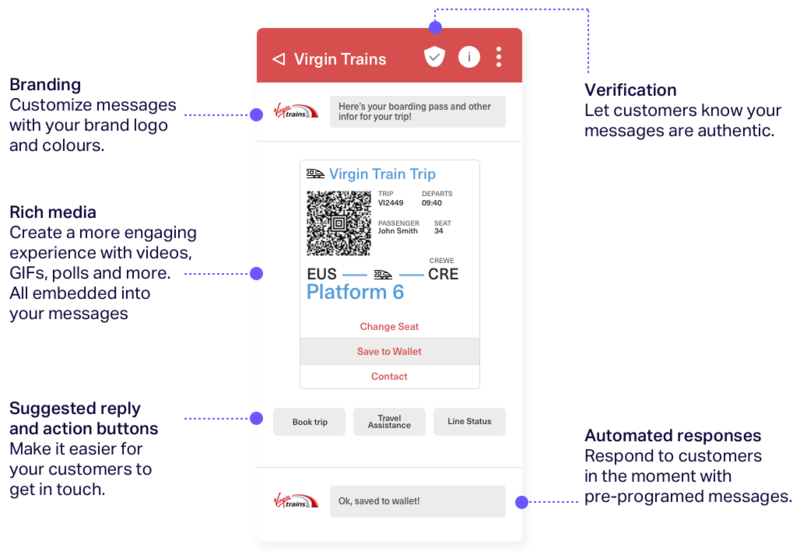 We helped Virgin Trains launch the world’s first commercial RCS campaign and our partner Mobivity has achieved some astounding results with Subway. The results have been pretty phenomenal. We are now an absolute believer in RCS because our customers love it. And they can do it all without downloading and booting up an app. 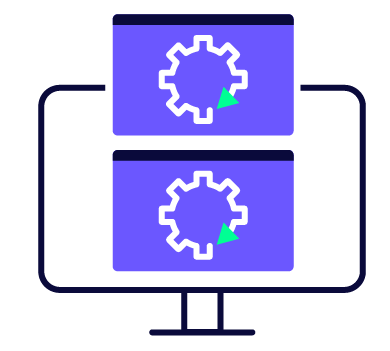 You can integrate RCS into your comms stack with our easy-to-use API. It’s always available, secure and infinitely scalable. Best of all, you can get up and running in a matter of days. Our data centers in the US, EU and Asia have 99.99% system availability. One API integration is all you need to send messages anywhere in the world. We’re GDPR compliant, hold ISO27001 certification, and adhere to every country-specific regulation on your behalf. Robust security infrastructure, data protection processes and testing procedures keep you and your customers safe. Need help getting started? No problem. Want a custom analytics dashboard? We’ve got you. Worried about regulations? Our carrier relations team is on hand. Service isn’t an add-on for us, it’s at the core of our business and underpins everything we do. 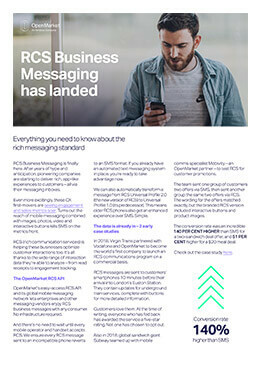 Download our datasheet for more detail on the key features of our RCS solution including Universal Profile 1.0 and 2.0 support, message-localization and blacklist management. Thanks for dropping us a line, a member of our team will be in touch.